Austen; Byron; Cervantes; Shakespeare et al. 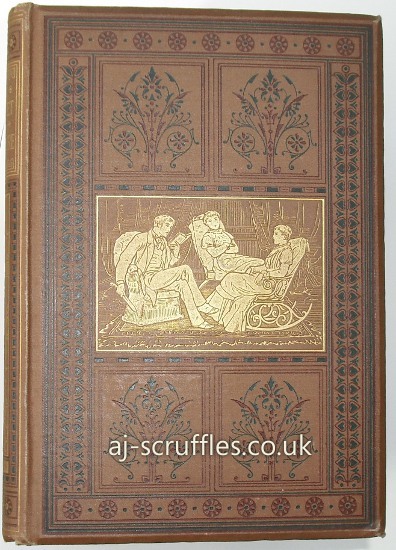 Marvelous compendium of literary treasures, featuring over one thousand short stories, poems, essays, articles and extracts from over five hundred authors. 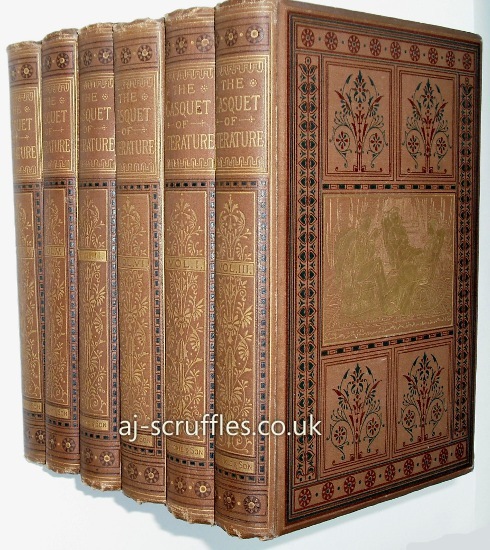 Complete in six volumes, the set contains gems from Burns, Eliot, Keats and co. but also works from more obscure writers who may have fallen by the wayside in recent years, yet shine here. Also featured are pieces by Queen Victoria and notable clergymen such as Reginald Heber. Edited by Thomas Gibbon, the text (in two columns) is interspersed with bibliographical information and sometimes humorous notes. 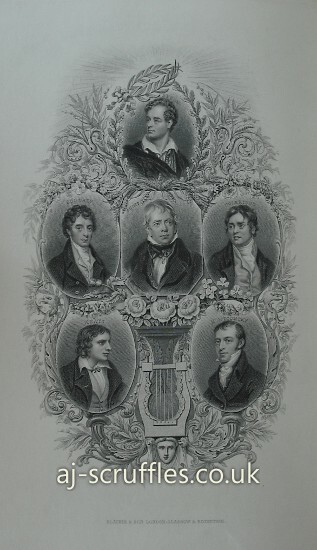 Contains 54 b/w engravings including portraits of the authors. Large Octavo with elegant pictorial boards with gilt detailing on tan cloth. Some bumping and rubbing to extremities but the bindings are sound and tight. Some foxing to page edge and minor spotting to frontis but interior is prim and clean. A wonderful set in good+ condition. *Due to large size extra overseas shipping costs may apply.